Three field trips have been run for students in the Geography & Development and Environmental Studies Programmes for the year 2015/2016. They were organized by Dr. Shafi Noor Islam and visited a range of locations in Brunei. The first trip was organized for the students of AV-2201 Introduction to Quantitative Methods. Students collected data related to environmental and soil and land erosion on the UBD campus. Soil erosion impact sites were observed at the hill site of the IBM Centre. Field Trip 1. Course Teacher Dr. Shafi Noor Islam with the students of Module AV-2201 Introduction to Quantitative Methods. Field trip 2 was arranged for the students of Module AD-4308 Landuse and Development. 84 students participated in this trip which took place on 19th March 2016. 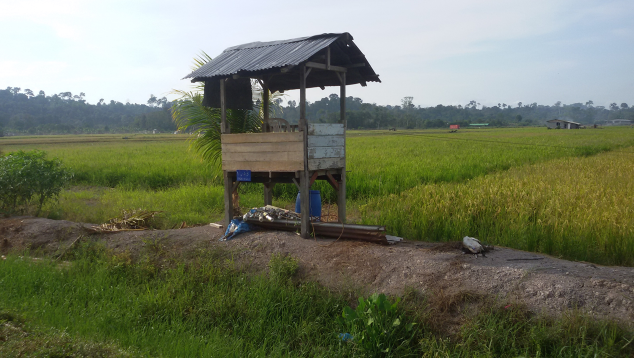 We observed land use in the rural areas, Kampong Batang Perhentian and Wasan. The paddy field at Kampong Batang Perhentian. Before the development of agriculture, it was originally a wetland area with forest cover. The water was removed by the farmers through drainage. In one area, they plant a variety of crops and fruits such as yam, banana, areca nut and different legumes. 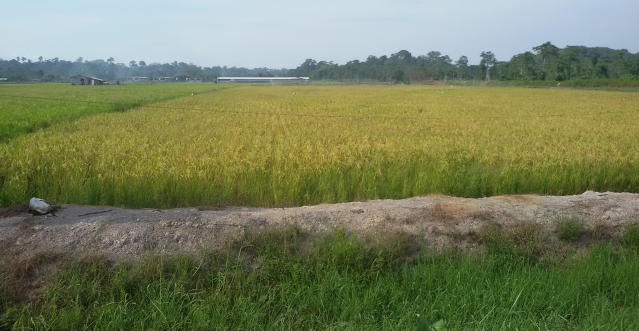 Kampong Batang Perhentian rice field on 19th March 2016. UBD students in examining the process of rice harvesting in the paddy fields. 2nd field trip at the Batang and Wasan Agricultural crops cultivation and paddy cultivation project area on 19th March 2016. 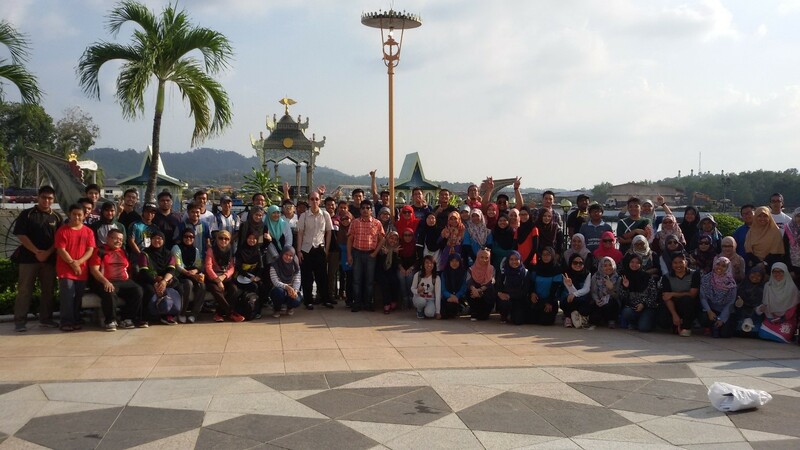 The 3rd field trip visited Kota Batu and the Bandar area in Bandar Seri Begawan on 26th March 2016. Altogether 120 students enrolled in the modules AD-4308 Landuse and Development and AV-2308 Geomatics participated in this trip. First, we visited the Malay Technology Museum to learn about the history of Brunei, specifically in the development of residential houses and technology. We saw different types of ancient settlements and traditional Malay housing, cultural development, and garden land use patterns. Engineering technology practices for river bank protection were observed in the Kota Batu area surrounding the museum. Field trip 3 (26th March, 2016). After investigating the urban landuse pattern and land agglomeration process in front of the SOAS Mosque at the Bandar Seri Begawan. Then, we assembled in the Royal Regalia parking lot and walked around Bandar Seri Begawan, Sultan Omar Ali Saifuddien Mosque, Sungai Kedayan and commercial areas to observe the urban land use patterns and the new dimension of the river basin land development. 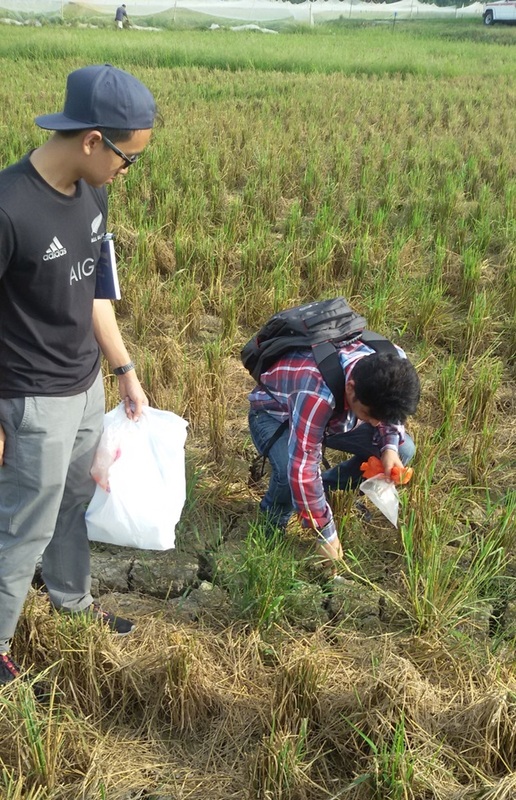 Dr. Shafi Noor Islam and students collecting soil samples from a rice field for research on soil quality, fertility and rice cultivation in Brunei. On behalf of Universiti Brunei Darussalam (UBD), Dr. Shafi Noor Islam would like to express his gratitude to the Head of village, Mr. Mat Noor Bin Aarof, the ideal farmer Haji Johari Bin Mundim, and Haji Yahya Bin Haji Jumaat for their generous cooperation in arranging the field trip to the Wasan region in Brunei.